Hey guys. Remember me? The person who used to write posts about food? I’m back! Small apologizes for my digression deep in to VEDA, and for an abundance of posts, but a lack of recipes. But not really. Because VEDA was seriously amazing. At any rate, August is over tomorrow, and VEDA is finished. Post numbers will slow down. Content will pick up. As an award for your patience, I have a new recipe for you that I am totally impressed with. 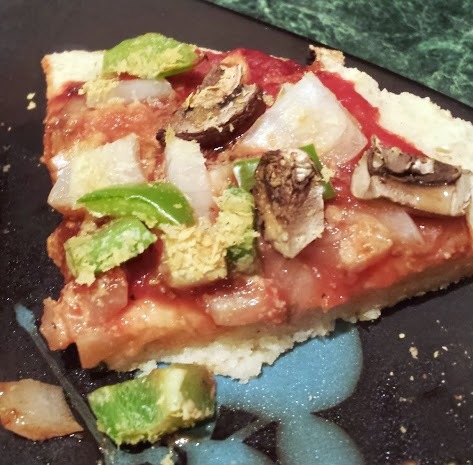 This pizza crust recipe meets all of those expectations, with bonus points for being vegan and gluten free. 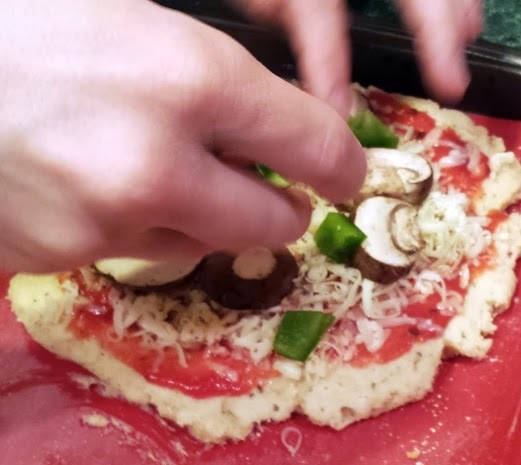 If you aren’t just joining this party you know that we have a pretty big crush on this Quinoa Pizza Crust, but lately I have been longing for something with a more traditional feel and texture, so I decided to try my hand at making some actual dough. And then I remembered that I have a bread machine that will do basically everything. 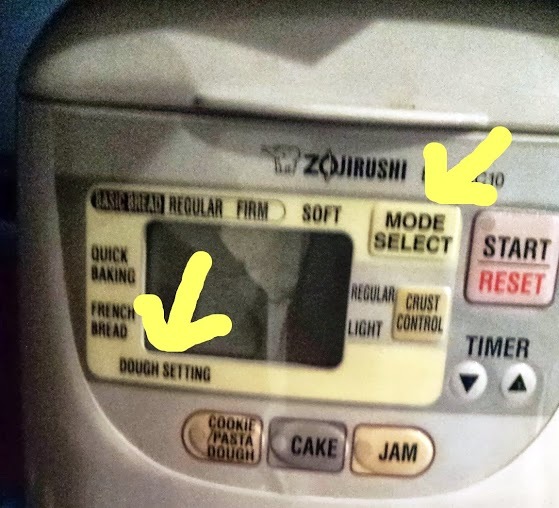 I love Japanese products – my bread machine will make bread (of course) but also: dough, cookies, pasta, jam, and bake a cake, Pretty much your own Jetson Family Rosie in a small compact package. So I decided to give this apparent ‘dough’ setting a try. And the results are a traditional feel crust, with crisp outside and soft inside. You may even fool a non-vegan/non-gluten free person in to liking it. Pretty stinkin’ awesome, in my opinion, at least. You can decide for yourself. Let’s make it. Below is a recipe that will fit in a 1 pound bread machine. It made two smallish-personal pan pizzas, but you could have combined them in to one big pizza. Feel free to sub non-vegan alternatives if that’s your style. You can also adjust the seasonings to your liking – but don’t go over 3 teaspoons total, and if you leave them out, add in 3 teaspoons of brown rice flour. Below in the recipe I have a link to how to make your own brown rice flour. Looking for other gluten free / vegan bread recipes? Check out my Recipe Index above, or click on the links below! 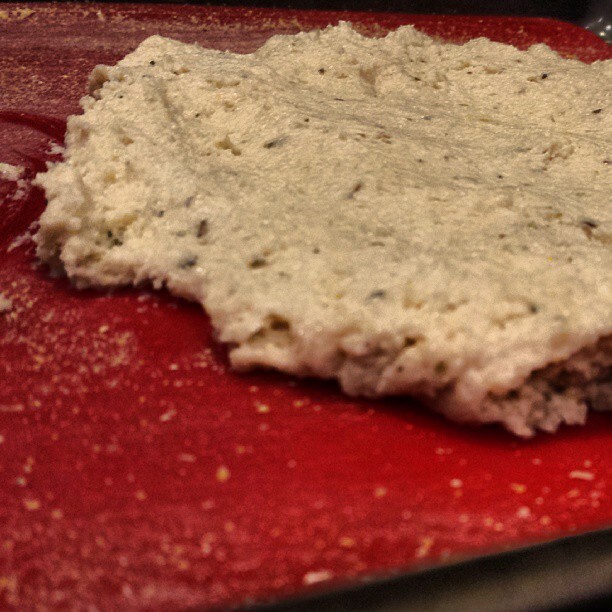 Spread the dough on to the pan. If it's sticking to your hands, dust your hands with a bit of corn meal. You can spread the dough as thin as you want. Ours was pretty thick. Bake the dough (with no toppings) for about 10 minutes. Take the dough out, and add toppings as desired. Return to oven and bake for 10 - 15 minutes or until desired done-ness. Pingback: Cinnamon Roll Dough in the Bread Machine [Vegan/Gluten Free/Oat Free] | Make them whole foods. Make them delicious. And make sure you feel great eating them. What could you substitute the potato starch with? More cornstarch? More cornstarch would work! You could also do tapioca starch/flour as well. I’d love to hear how it turns out! Excellent! Thanks for the reply! I didn’t have cornstarch either so I just skipped it and it turned out awesome. I also only had white rice flour…delicious! I am so glad it worked out for you! Thank you for letting me know! Did you replace the cornstarch with anything? I’m not sure if this is the recipe you were referring to on instagram, but either way, yum! I still rarely eat grains/non-paleo now-a-days, but I’m definitely pinning this for a cheat day! Pizza is definitely one of my favourite things to eat when I feel like spending some time in the kitchen. Plus this sounds wayyyy easy! Oh there sure are! I’ve even seen a recipe for a butternut squash crust! In spite of my best intentions though, I keep failing to make one for at least a year. I’d probably love it if I did, but just need to do it finally! Butternut squash crust! That sounds interesting!